Old sadhu with white beard and coiled dreadlocks in Nepal. English : Old sadhu with white beard and coiled dreadlocks in Nepal. Matterhorn from the train to Gornergrat. English : Matterhorn from the train to Gornergrat. The beach of Anse Source d'Argent on the island of La Digue, Seychelles. English : The beach of Anse Source d'Argent on the island of La Digue, Seychelles. A Silver-washed Fritillary (Argynnis paphia) on a flower of genus Carduus. Silver-washed Fritillary is a European species of butterfly, which was in decline for much of the 1970s and 1980s but seems to be coming back to many of its old territories. English : A Silver-washed Fritillary (Argynnis paphia) on a flower of genus Carduus. Silver-washed Fritillary is a European species of butterfly, which was in decline for much of the 1970s and 1980s but seems to be coming back to many of its old territories. A burst of colour lights the shallow waters of the Gulf of Mexico off the Yucatan Penninsula.The swirls of tan, green, blue, and white are most likely sediment in the water. The sediment scatters light, giving the water its colour. The sediment comes from two sources: the land and the sea floor. Sediment from land is moved by fluvial processes. English : A burst of colour lights the shallow waters of the Gulf of Mexico off the Yucatan Penninsula.The swirls of tan, green, blue, and white are most likely sediment in the water. The sediment scatters light, giving the water its colour. The sediment comes from two sources: the land and the sea floor. Sediment from land is moved by fluvial processes. Tenaya Lake. Granite dome is reflecting in the lake. Tenaya Lake is located at Yosemite National Park at Tioga Pass. English : Tenaya Lake. Granite dome is reflecting in the lake. Tenaya Lake is located at Yosemite National Park at Tioga Pass. 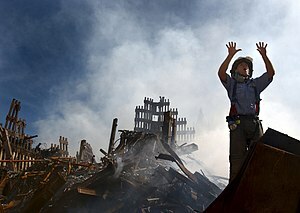 A New York City fireman calls for 10 more rescue workers to make their way into the rubble of the World Trade Center. English : A New York City fireman calls for 10 more rescue workers to make their way into the rubble of the World Trade Center. English : Bald eagle (Haliaeetus leucocephalus). The Grand Palais as seen from the Alexandre III bridge, in Paris, France. English : The Grand Palais as seen from the Alexandre III bridge, in Paris, France. European tree frog (Hyla arborea). Photograped near Gruberau (Lower Austria). English : European tree frog (Hyla arborea). Photograped near Gruberau (Lower Austria). Wasp (Polistes dominulus) on a Lilium plant. English : Wasp (Polistes dominulus) on a Lilium plant. A titanium crystal bar, high pure 99,995%, made by the iodide process. Weight ≈283g, ≈5.5 " long, ≈1 " diameter. English : A titanium crystal bar, high pure 99,995%, made by the iodide process. Weight ≈283g, ≈5.5 " long, ≈1 " diameter. Red blood cells on an agar plate are used to diagnose infection. The plate on the left shows a positive staphylococcus infection. The plate on the right shows a positive streptococcus infection and with the halo effect shows specifically a beta-hemolytic group A.
English : Red blood cells on an agar plate are used to diagnose infection. The plate on the left shows a positive staphylococcus infection. The plate on the right shows a positive streptococcus infection and with the halo effect shows specifically a beta-hemolytic group A. The little village of Sainte-Enimie at the entrance of the Gorges du Tarn, seen from a picnic area on D986 road. English : The little village of Sainte-Enimie at the entrance of the Gorges du Tarn, seen from a picnic area on D986 road. A blank 1876 membership certificate for the Independent Order of B'nai B'rith, one of the oldest Jewish service organisations. English : A blank 1876 membership certificate for the Independent Order of B'nai B'rith, one of the oldest Jewish service organisations. Electron scan micrography of Aceria anthocoptes, a potential biological control agent of the weed, Canada Thistle. Magnified 1,400×. English : Electron scan micrography of Aceria anthocoptes, a potential biological control agent of the weed, Canada Thistle. Magnified 1,400×. Pāhoehoe Lava and ʻaʻā flows at The Big Island of Hawaii. The picture was taken from a helicopter. 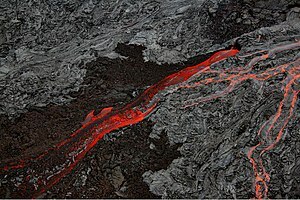 English : Pāhoehoe Lava and ʻaʻā flows at The Big Island of Hawaii. The picture was taken from a helicopter. English : Officially known as Mount John Laurie, Yamnuska is the popular name for this mountain in Kananaskis Country west of Calgary, Alberta, Canada. Green Iguana (Iguana iguana) posing in the Oslo Reptile Park. English : Green Iguana (Iguana iguana) posing in the Oslo Reptile Park. Printing mobile characters. The plate says The quick brown fox jumps over the lazy dog and feels as if he were in the seventh heaven of typography together with Hermann Zapf, the most famous artist of the. English : Printing mobile characters. The plate says The quick brown fox jumps over the lazy dog and feels as if he were in the seventh heaven of typography together with Hermann Zapf, the most famous artist of the. Sulfur dioxide emissions from the Halema`uma`u vent, Kīlauea. English : Sulfur dioxide emissions from the Halema`uma`u vent, Kīlauea. Flowers of the Swamp Milkweed (Asclepias incarnata en ). English : Flowers of the Swamp Milkweed (Asclepias incarnata en ). A T-45A Goshawk executes a turning rejoin during a recent formation flight over South Texas. The T-45 is a twin-seat, single-engine jet trainer and is the only aircraft in the Navy's inventory used specifically for training pilots to land aboard aircraft carriers. English : A T-45A Goshawk executes a turning rejoin during a recent formation flight over South Texas. 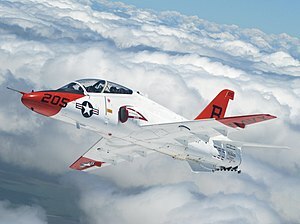 The T-45 is a twin-seat, single-engine jet trainer and is the only aircraft in the Navy's inventory used specifically for training pilots to land aboard aircraft carriers. An artist's impression of a terraformed Mars centered over Valles Marineris. The Tharsis region can be seen of the left side of the globe. English : An artist's impression of a terraformed Mars centered over Valles Marineris. The Tharsis region can be seen of the left side of the globe. Generations of stars can be seen in this new infrared portrait from NASA's Spitzer Space Telescope. English : Generations of stars can be seen in this new infrared portrait from NASA's Spitzer Space Telescope. A Belarusian Su-27UBM during a training flight before the Air Show 2009 in Radom. The aircraft crashed on the second day of the show killing both pilots. Today marks exactly one month from that event. English : A Belarusian Su-27UBM during a training flight before the Air Show 2009 in Radom. The aircraft crashed on the second day of the show killing both pilots. Today marks exactly one month from that event.